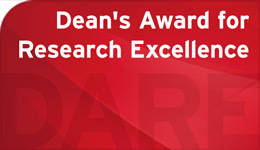 The Faculty of Liberal Arts & Professional Studies (LA&PS) is launching the Dean’s Award for Research Excellence (DARE). Faculty members will tap into DARE funding to hire undergraduate students to engage in active research. DARE students, in turn, will receive one-on-one mentoring from a faculty member, participate in scholarly inquiry, develop valuable research skills and gain paid experience. Thirty awards are available in 2018, the competition’s inaugural year. Each student recipient will receive $5,000 over the summer months from May through August, the same period within which the students undertake their DARE research project. The program is open to full-time undergraduate students enrolled in the Faculty, who should have a minimum cumulative GPA of 7.0. Students need to have completed at least 48 credits by the time they take up the award. They are also eligible to apply for DARE to cap off their graduating year. LA&PS faculty members must submit research project descriptions by January 10, 2018, and the approved research project opportunities will be available for review by students on January 15. Students may then submit their résumés and expressions of interest directly to the professors on whose projects they would like to work. It is recommended that students apply to two to three different projects that are of interest. The student application process is two-phased, with the first deadline for applying to professors with a resume and expression of interest by 4pm on January 24, and the second-phase deadline is 4pm on February 28 where program application forms are also required.